By now many Apple product users must have heard of the new software update for iOS 12. Yes, it is most probably going to be released sometime in September 2018. It is bringing with it multiple new features to enhance using your Apple devices and applications and the iOS 12 release has got people excited. People are looking forward to the new iOS 12 release. The new update is currently focusing on improving the performance of Apple devices. Many devices tend to hang or slow down. This update is said to increase the performance and make the device faster, all the while preserving your battery. With the iOS 12, Apple is also launching its Augmented Reality as the update’s component. Using the ARkit 2 you will be able to view real life objects and get its measurements. It is going to recognize the shape of the object automatically. Moreover, it’ll allow shared experiences , for example on an AR game. Even the smart object search in your iPhone will be updated. More categories have been added to ease the photo search. It’ll even tick the photos it thinks you’ll want to share with your friends. A new feature of Shortcuts has also been added to Siri. It helps you trigger the use of a particular aspect of an app by just your voice. For example: ”Check Facebook notifications” and it’ll specifically open the notifications tab. Voice memos, iBook and News have also been redesigned. Plus, new animal emojis have been added! 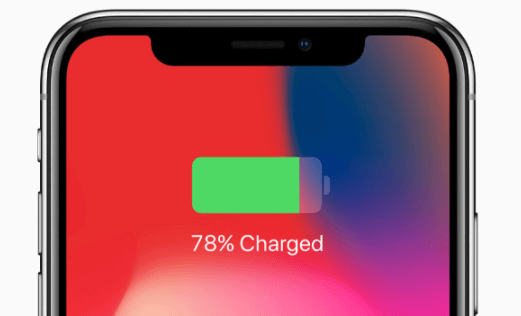 There are many more new features of the iOS 12 but the ones listed are enough to make any Apple user instantly upgrade to iOS 12. However you have to make sure your device supports iOS 12. Curious on how to upgrade iOS 12 or on how to install iOS 12? The first thing that youll have to do is backup your iOS device. It is always crucial to do so, so that you don’t lose out on any important data you have. It allows you to freely transfer data from your iOS device to your computer or iTunes. And its a two-way transfer. It can transfer your iTunes library to your iPhone without the need of a password. It supports the transfer of paid as well as free downloaded files. You can easily preview your data and selectively sync it, if you like. The syncing does not erase your previous old data. Launch iMyFone TunesMate on your computer and connect your Apple device using an Apple USB cable. Select the “Photos” tab and then select the photos you want to transfer. Then click “Export” and “Export to PC”. 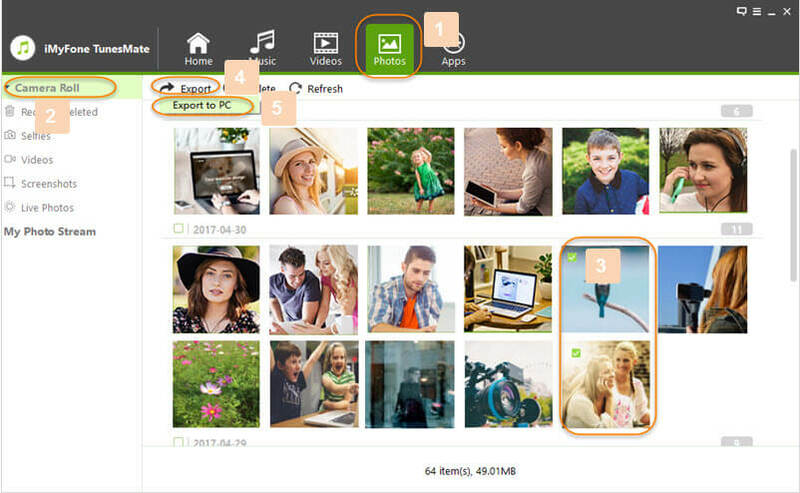 Create or select the folder you want your photos transferred and the process will begin. Select the music files you want to transfer and then click on “Export”. Then click on “Export to PC”. 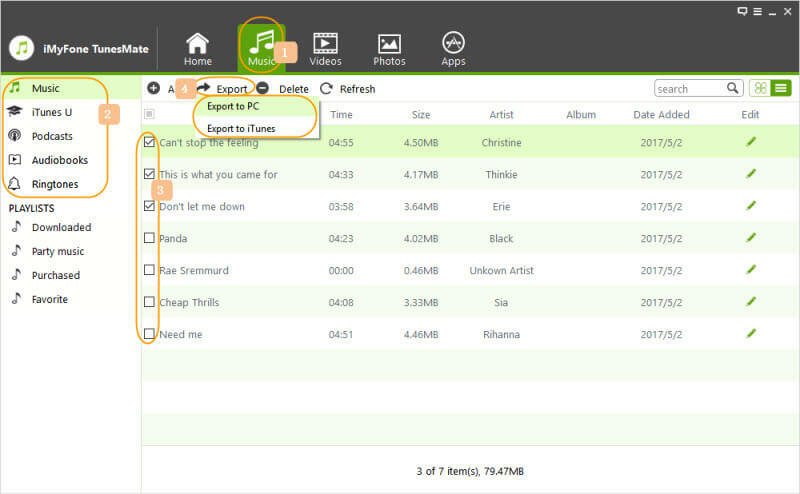 Select a particular document on your PC to transfer the music files to. As soon as you’ve done that, the transfer will begin. Click on the “Videos” tab and select the videos you want transferred. Click on “Export” and then click on “Export to PC”. Select the document you want your videos to be transferred to and the process will begin. You can still back up other data types with iMyFone TunesMate, just download and try it. You need to have adequate free memory and enough battery for the update to download. Without memory, the update will not be installed and youll be annoyed by the notifications you’ll receive for freeing the storage of your device. And without enough battery your device may shut down in the middle of the download, causing you to lose a lot of your data. 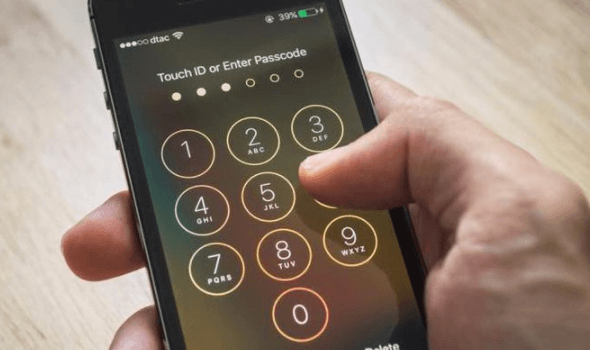 Your phone will restart after you upgrade to iOS 12 and it might requires your screen passcode to unlock your iPhone. So please always remember your device screen password or you will be locked out of your device after installing the update. You should also remember your iCloud passcode and apple ID. In case of losing files after updating, you can restore files from your iCloud backup. When all the above thing is done, you can start the iOS 12 upgrade. It should be noted that there are certain risks in upgrading the new version. For example, the older iPhone/iPad models may not become faster after upgrading. But for iPhone 7 and later, upgrading to ios 12 should not be a big issue, but remember to use iMyFone TunesMate to back up your data first.